These Homemade Chicken Nuggets are so much healthier and much more delicious than anything you could buy! The outside coating is perfection! This recipe makes for a great meal or appetizer! My kids LOVE chicken nuggets. I always have a bit of a guilt complex because I don’t always know what is in those fast food ones. So I decided to start making them at home when I have the opportunity. 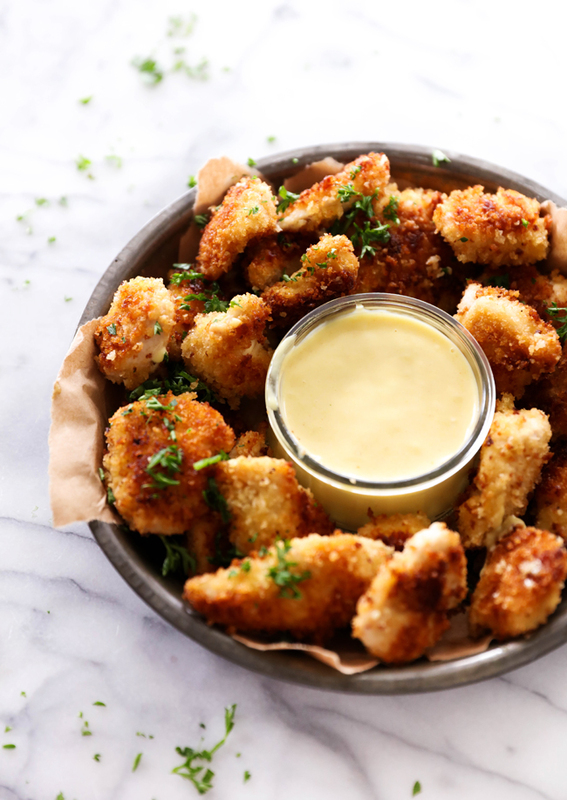 These chicken nuggets are SO simple and the flavor is so much more delicious than anything you can buy! The outside coating is sheer perfection. The panko is the perfect texture! We love to dip these in the Honey Mustard Dipping Sauce recipe I provided in this recipe, but you can feel free to dip them in whatever sauce you’d like! In a small bowl add egg yolks, garlic, and salt. Mix well. Pour into a large zip-lock bag. Add chicken and marinate for 3 hours. You can marinate overnight. Place the Panko on a plate and mix in the ½ teaspoon salt. Heat a large skillet on the stovetop over medium high heat. Add enough oil to cover the bottom of the pan. 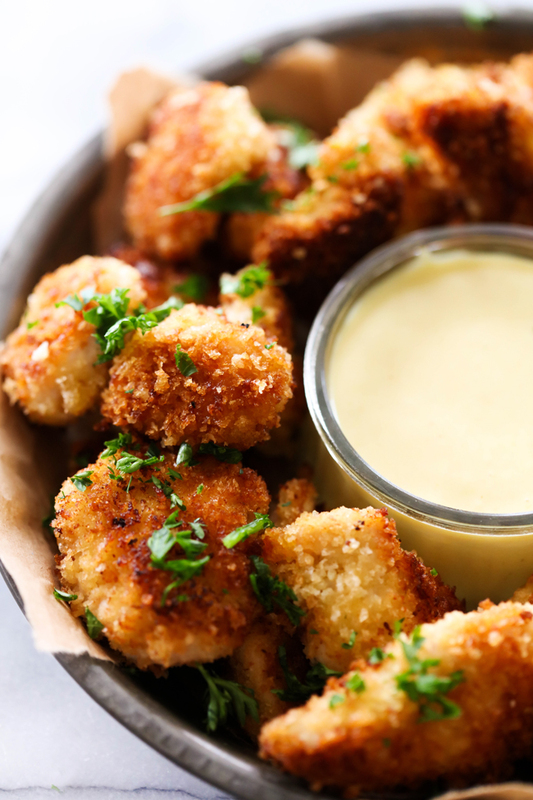 Dip each chicken bite into the PanKo and then place in the skillet. Cook the chicken 3 minutes on each side. Check to make sure they are cooked all the way through. 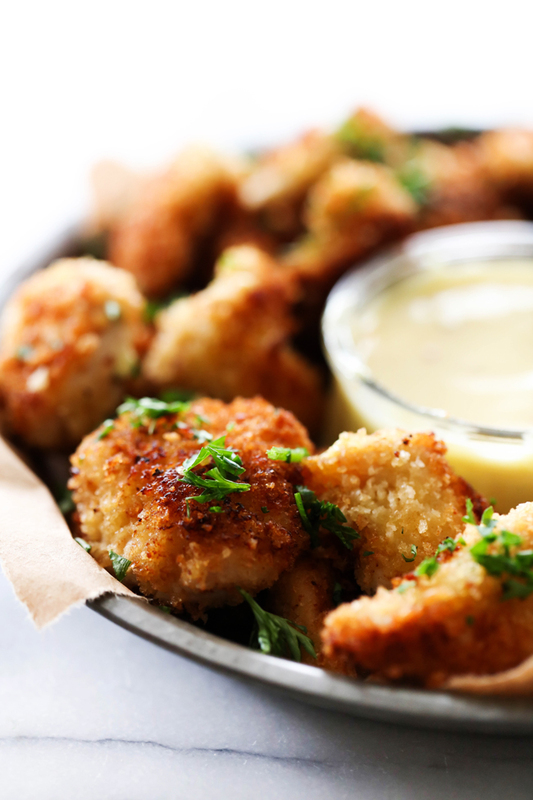 Serve with honey mustard dipping sauce. Combine all ingredients in a small bowl and stir until smooth. These look fantastic! Can't wait to give them a try. I'll have to use gluten-free flour instead of panko, but keeping my fingers crossed!